Delicious dairy-free quiches....at least that's what it says on the pack. 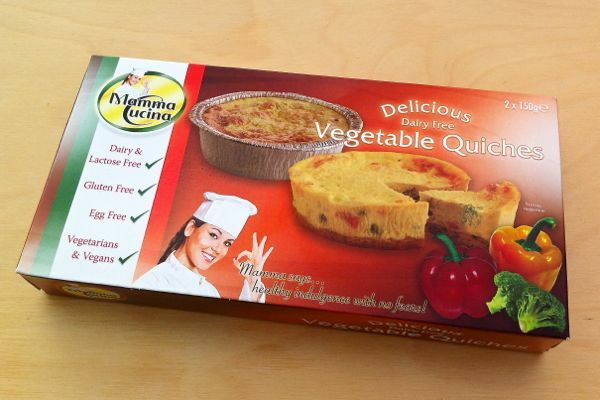 You may have seen these gluten, egg and dairy free quiches in the freezer at Holland & Barrett. The Mamma Cucina brand from Triano (the Tofutti makers) also appears on cheesecakes and pizzas. We popped a couple of these mini quiches in the oven to see if they're any good.